Babblings of a Mommy: My Viovio Photobook. If you remember a few weeks ago I was complaining about not being able to catch up on my scrapbooking, but thanks to Viovio I was able to put together a photobook of last year's vacation to Puerto Rico! Viovio is an online site where you can upload photos, create travel blogs, and create photobooks. They even have an online community where travel enthusiasts exchange information about their favorite places and memorable adventures! How cool is that? With Viovio's photo editor I was able to create a 12.5 x 10 imagewrap hardcover portfolio book with a wire spine and roughly around 200 pictures in it. Before you start using their photo editor I highly recommend you watch their video tour because it can get it a little confusing to use at first. If I would have done this before--I could have saved myself a good half hour trying to figure out how the darn thing works. One thing to keep in mind when you're uploading photos is that they have 1GB memory (about 500 high resolution pics) of storage space. If you have more than than that they suggest you upgrade to their Retailer or Professional memberships, which is not free. 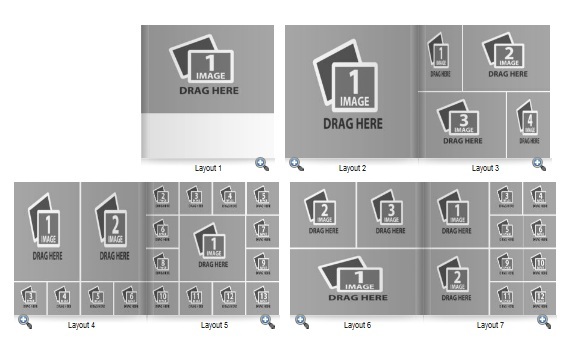 Another interesting feature about Viovio is their templates. Their templates are actually created by their own customers and who have been recruited to make their own designs and therefore charge a fee for using their templates. 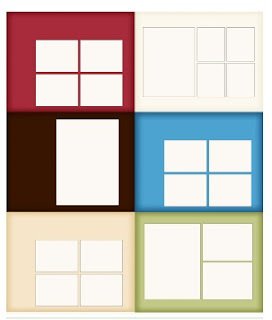 The templates range anywhere between $2-$5. 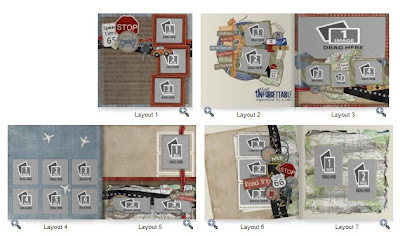 The good news is that Viovio does have free templates, however if you like your pictures displayed like a scrapbook, they may seem very plain to you. I opted to use the color landscape template which cost me $4 to use, but once I purchased the set I could use it as much or as little as I wanted and still be charged just $4. Since I decided to pay for a template I ended up using it on every page of the book and really liked how it came out. I think the best features that Viovio has is their great selection of photobooks to choose from. They have by far more than I seen on any other photobook site and the prices are extremely affordable compared to what's out there. With my 12.5 x 10 portfolio book, plus the template fee, the added pages (I had more than 20), the photo silk paper, and the shipping--I spent UNDER $50!! That's practically unheard of! Overall, I was extremely happy with the way the photobook came out and would recommend you check out Viovio if you're on the market for photobooks. Disclosure: A gift certificate was provided for review purposes. All opinions expressed in this post are my own. This mommy of three is WAY behind on getting books done for children #2 and #3 (of course #1 has his) so thanks for the suggestion! Book looks great! Thanks. I'm still way behind and I only have 1 kid!! haha.